We invite you to contact us today to discuss your dental care. Please don’t hesitate to call us at (907) 252-1673. 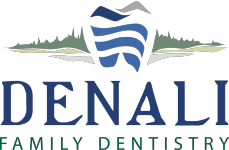 Click here to read what others are saying about Denali Family Dentistry. We will do our best to accommodate your busy schedule. Please complete this form to request an appointment. Please note that you do not have an appointment until you receive confirmation from us.